This open floor plan by Neal Communities is a single-family home with a welcoming stone arch entry and inviting living spaces. Standing at the gourmet kitchen’s island provides a view over the dining café and great room and on out to the covered lanai. The kitchen includes a convenient walk-in pantry, all new stainless steel appliances and decorative tile backsplash. A den or home office can be used in lieu of a leisure room at the front of the home. The master suite features a walk-in closet and bath with a walk-in shower and private water closet. The two secondary bedrooms are convenient to a full bath and one includes a walk-in closet. Included design options for this home are a high bar on the kitchen island, wood plank tile flooring in the great room and master bedroom with double sinks in the master bath. 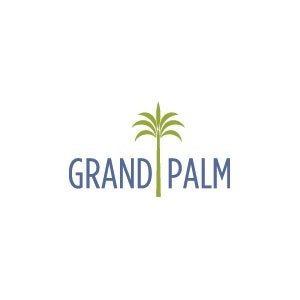 Come see Grand Palm in Venice and find out more about this move-in ready Fresh Spring home. Call today for additional information and to schedule an appointment.